Need a public notice fixture that protects its contents from the elements? These framed corkboards feature a swinging or sliding door that protects papers, pictures, advertising, menus and more from dust and moisture. Some models can lock to prevent theft and tampering, making them great for any high traffic environment. 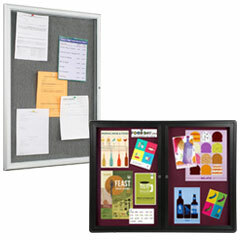 These framed corkboards, also known as enclosed bulletin boards, can be used in school hallways for displaying projects, offices for featuring monthly reports and even in restaurants for showing daily specials. Their design incorporates one, two or three posting areas with a natural brown, black rubber or colored fabric surface. Framed corkboards like these feature a wood or aluminum frame and are available as a wall mounted holder or a standing case. 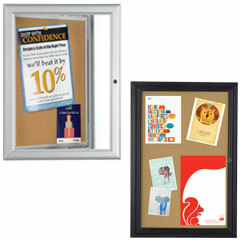 What styles are available with these enclosed bulletin boards? Framed corkboards with clear sliding doors all feature an aluminum frame in silver or black. These wall mounted holder all feature a locking mechanism that keeps their contents safe in offices and community centers. 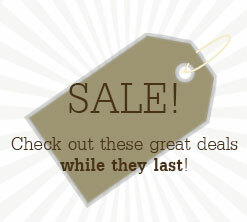 They measure between 48" x 36" and 72" x 48", making them great for any vertical surface. Some units come with a header for creating custom signage with a graphic panel or vinyl letters (not included). Also available are cork boards with a swing open door. These come with a choice of a wood or aluminum frame with a silver, oak, walnut, black, mahogany, cherry, bronze, silver and gold finishes for any environment. Each case is available as either a wall mounted fixture or freestanding holder. They come with a 1- 2- or 3-compartment design and come with the option for LED illumination for use at any time of the day. All units also feature a lock for extra security. 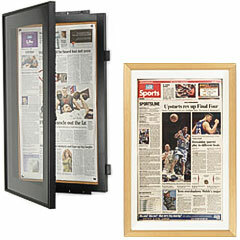 Enclosed cork boards for newspapers feature a black, silver or white mat for creating a viewable area of 11.8" x 21.8" or 11.5" x 22" for fitting periodicals. They can also fit other documents measuring up to .25" thick. Options for these enclosures include a locking design, a wood or metal construction and a variety of attractive finishes. Boards with a fabric surface offer more color options, including red, blue, gray, maroon, teal, twilight and camel to match any décor. Some models come as an ornate floor stand for use in hotel lobbies, office building entrances and other public areas. These framed bulletin displays with a fabric surface are also available with an area for vinyl lettering (not included). 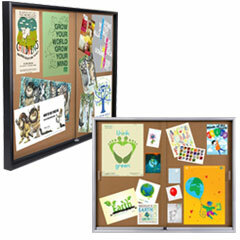 Enclosed cork boards can also feature a magnetic backing surface. 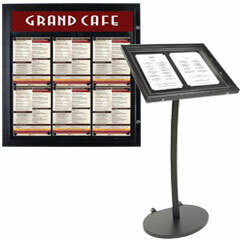 These come with (6) to (28) magnets for displaying menus, newspapers and announcements. Each fixture is made of metal with a black finish and is also available as a mount or freestanding unit. 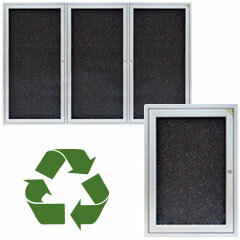 These framed bulletin displays can also come with a self-healing recycled rubber surface. Each cases has a silver finish and comes with an open face or closed posting area. Models made with recycled materials like these are ideal for eco-friendly offices and businesses. 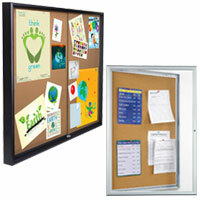 These boards keep papers, posters, newspapers and other items with their tempered glass or polycarbonate overlays. Their wood and metal fabrication will last for years in high traffic environments. With options of a fabric, rubber or classic backing in a large assortment of finishes, these boards are excellent for use in any setting.